Cabin lot on .98 acres, located lower-mountain in Timber Lakes Estates. 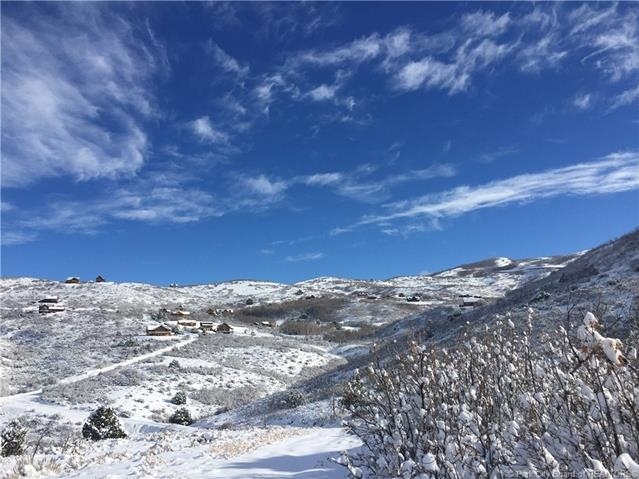 South-west with lovely north views of the canyon and mountainside behind the lot and up Lake Creek Canon. Partially flat, and then downward sloping for a walk-out basement. Approved in 2011 for a standard septic system- no guesswork or additional testing required and standard septic system will save future owners THOUSANDS of dollars! All four points surveyed. Lot dimensions: 131′ frontage, 371′ side lengths. Very easy access off of paved road for year-round mountain living or weekend getaways. Within 1/4 mile of the entrance gate. Timber Lakes is a residential/recreational mountain community located just 7 miles east of Heber City. Guard-gated, private community with year-round water, utilities, services and access. Residents enjoy private winter access directly to the Uinta National Forest! Within 1 hour of SLC and Provo.